After all, the digital revolution will bring about vast changes not only to the way we lead our daily lives, but also to the economy and structures such as labour laws, taxes and tax laws, company set-ups, pensions and even what retirement means, Mr Ng points out. “When change is as pervasive as that, you must really probe the reasons for why you are changing something – what is it fundamentally for? What are you aiming at? 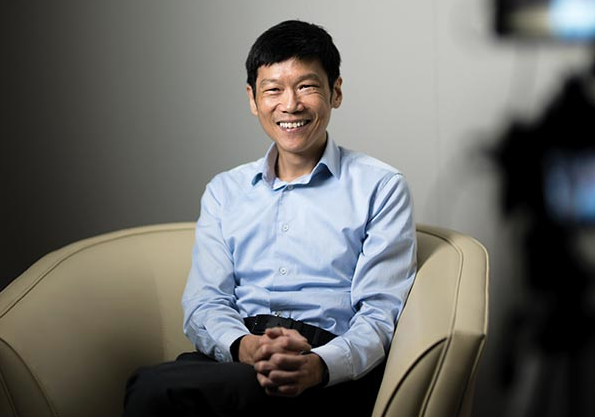 Along the way, Mr Ng has encountered an unexpected challenge: “One thing that surprised me a bit is that there are significant portions of the Singapore public that seem to be not as receptive and welcoming of technology as I’d have expected,” he says. But the future is inexorably digital – and we cannot afford to be left behind. He admits life may be “unpleasant” for some, as technology displaces certain types of jobs. Increased connectivity will also threaten existing expectations about work-life balance and retirement. Still, he stresses, these reservations notwithstanding, “technology moves and will make life better for most people… society as a whole can’t stay still”. One way to get Singaporeans on board with Smart Nation is to appeal to their emotions. “In Singapore, we tend to over-emphasise the rational approach to life… In many ways, we don’t appeal to people’s emotions enough,” Mr Ng muses. This article first appeared in Challenge. Photo courtesy of Challenge.